Jeff Krawitz joined New York University Leonard N. Stern School of Business as an Adjunct Professor of Marketing in 2005. He is also a marketing professor at Columbia University. Previously, he taught at California State University, San Jose and Hayward, and at the Leavey School of Business at Santa Clara University. Professor Krawitz is also a periodic guest lecturer at Stanford University. Professor Krawitz works with some of the top business students in the world, exploring leading edge concepts in strategic marketing and sales. As a principal at Customer Manufacturing Group (CMG), a sales-marketing consultancy focused on marketing processes, he encounters companies that need things fixed now to return to profitable growth. This unusual combination - leading theory with practical business crisis management - allows Professor Krawitz to bring a unique perspective for developing and managing the sales process in a growing business. Prior to forming CMG, Professor Krawitz spent 17 years with Advanced Micro Devices (AMD), a leading semiconductor manufacturer, where he was responsible for numerous activities within marketing and sales. Progressing from field sales engineer to worldwide channel marketing manager, he developed a working knowledge of sales from multiple points of view: major accounts, manufacturer's reps and distribution and channel sales, and sales process development. 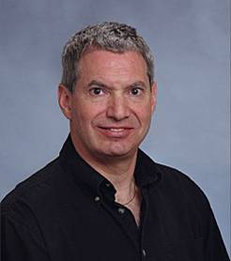 Professor Krawitz held product marketing and product management positions at other companies leading up to his tenure at AMD. Professor Krawitz received his M.B.A. from the University of Pittsburgh and his B.S. in Electrical Engineering from the University of Illinois.